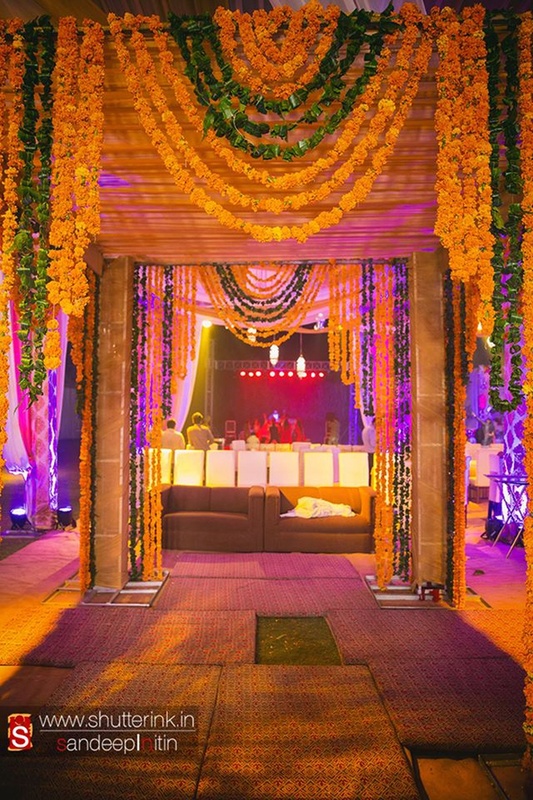 So, today we happen to stumble upon the song ‘sasural genda phool’ from Delhi 6 and thought hey, why not give you cool suggestions on how elaborately you could incorporate marigold or genda phool (as we know it) in your wedding décor. Did you know the Portuguese introduced marigold in India? Quite a revelation eh! Since Lord Vishnu and his wife Goddess Lakshmi were worshipped with marigolds, this particular flower type is a representation of divine blessing to the newly wed to have a happy and prosperous life ahead. Marigolds are also known as the ‘herbs of the sun’ thus, symbolize passion, creativity, brightness and positivity bestowed on the couple. Flowers play an intrinsic role in Hindu weddings; therefore, both orange and yellow marigolds are used in decorations. Some More Outdoor and Indoor Décor Ideas and Inspirations That Have Stunned Us!